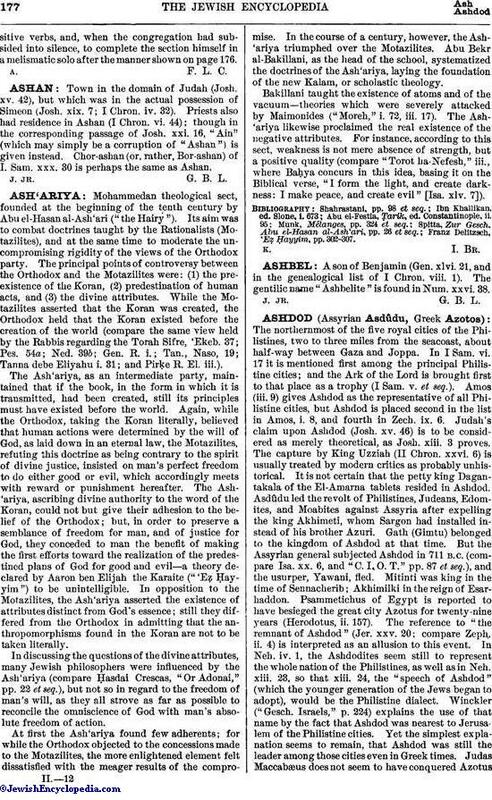 The old shorter form of the confession of sin ("Widdui"), mentioned in the Talmud and in the "Didache" (first century C. E.), in which each letter of the Hebrew alphabet is successively utilized as the initial of an acknowledgment of wrong-doing, the round number of twenty-four expressions being reached, after the usual fashion, by the threefold employment of the last letter, ת. 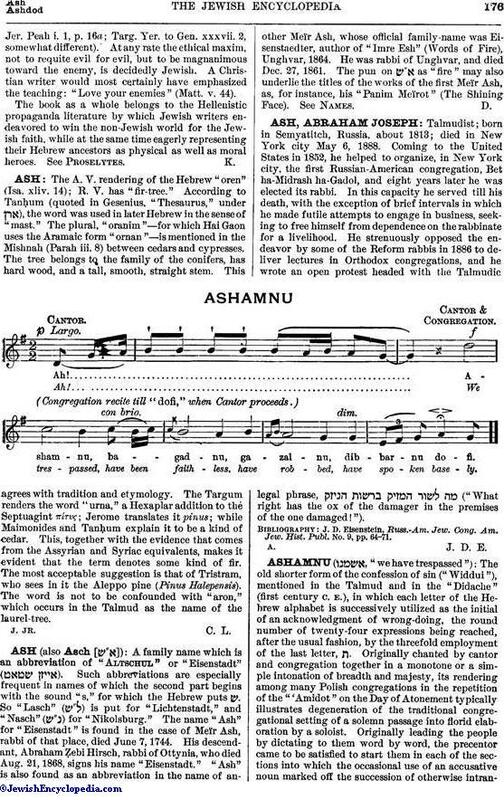 Originally chanted by cantor and congregation together in a monotone or a simple intonation of breadth and majesty, its rendering among many Polish congregations in the repetition of the "'Amidot" on the Day of Atonement typically illustrates degeneration of the traditional congregational setting of a solemn passage into florid elaboration by a soloist. Originally leading the people by dictating to them word by word, the precentor came to be satisfied to start them in each of the sections into which the occasional use of an accusative noun marked off the succession of otherwise intransitiveverbs, and, when the congregation had subsided into silence, to complete the section himself in a melismatic solo after the manner shown on page 176.